Rook. A group of large, black birds wheeling across the sky, cawing harshly, is likely to be a flock of Rooks. 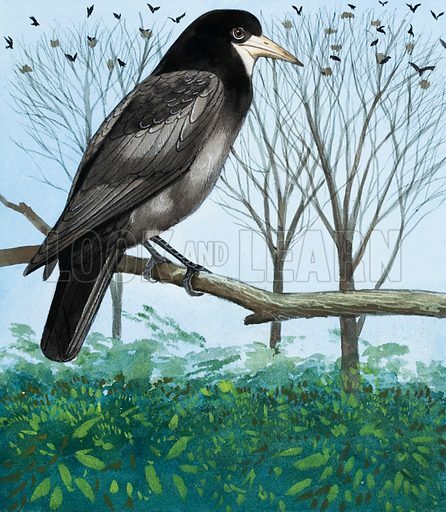 Their nests, all built together at the top of a group of trees, are called a rookery. Original artwork for illustration on p4 of Once Upon a Time issue no 48. Lent for scanning by the Illustration Art Gallery.